Amy Iven Wilson – I’ve been linked to the past of those men and women of whom I am envious and am proud. This page has boosted my patriotism for my country!!! Rodney Nelson – The Federalist Papers are the work of genius, and some say inspired by our Creator. They certainly seem to be. It is of vital importance to bring back the knowledge of these great, selfless men and their view of the Constitution because it has been largely lost. Thank you, Federalist. Gerald Keith Simpson – I share most of your posts. They speak the Truth. Kathy O’Connor MacPherson – Your page should be required reading. If events of the past are forgotten, they are bound to be repeated in the future. Lisa Hoppman – The Federalist Papers admins do a wonderful job of going through our founding documents (and sometimes others) to find pertinent, timely and always thought-provoking pieces. I have discovered a new admiration for Patrick Henry from their work! Thank you, admins! Daniel Shaw – Your page rocks, you guys make it soooo easy to pass on fruitful and important information to everyone I know, You guys make me look more educated and knowledgeable than I actually am, But I do learn new things every day, thanks to you guys!! Kerstin Hansen – I love this page! It makes me proud to be an American and just love the Founding Fathers and reading their quotes and reading what they went through to fight for freedom! It’s awesome! Thom Myers – I love your posting and continue to re-post. I love the history of the founding fathers and others that built this nation. I also love the quotes from them that basically are true now. They were very intelligent people and very prophetic. Buddy Novotney – The Federalist Papers, the education you bring to your readers is immeasurable. Now more than ever, Americans need to learn about their country’s founding and its founders. Keep up the good work. Jim Corr – I look forward to your daily postings because it’s important for us to understand how the founders felt about the very issues of freedom and government that we are presently dealing with. Thank you for your efforts. Fred Boggess – I share your posts nearly daily and appreciate the research that you do to find the quotes and concepts expressed in the volumes of writings that our Founders left us. Paul Carr – Given the direction the current administration seems to be headed I offer this remembrance: Those who do not heed the lessons of history are doomed to repeat it. Your excellent work helps us avoid that which would surely lead to disaster! Chet Hingle– What we need more than anything is Truth our Founders spoke. The Federalists Papers provides it. Jim Steed – This is an awesome Page, and one which I find myself linking to numerous times daily. It has helped me tremendously in understanding our Founders, our History and our form of government. Thanks for your great work! Pat Ches – Inimitable truths for the taking. Please keep up the good work! Ric Bergstrom – It is great to be able to share posts that come from the mouths of the founders. That express the intent of the grand system that they started and some of us are intent on destroying. Everyone should read the federalist papers, and if they can’t do that they should at least like this site and learn more about the posts that pique their interests. Dan Dingeldein – I salute you! Love this stuff! Rimgaudas Vidziunas – great historical photos…Enjoy reading the comments of our Founding Fathers. Their wisdom can be applied to today’s society problems. Such great visionaries. Hays Waller – If the government is going to force anything, it should be that everyone has to read The Federalist Papers daily. Nancy Burns – I enjoy reading your post daily. Very good. Thank you. Robert G. Swan – Great postings! Please continue. Karen Schneider – I appreciate the quotes that you post from our Founding Fathers and other people from the 18th century that had future-vision. Amazing how relevant they are today – just shows that their ideas and beliefs transcend time and all the cultural upheavals our nation has seen. And I do “share” many of them on my FB page because I have many friends who are liberal and do not understand our Constitution and its principles. Thanks!! Aisle N. Evertell – The Federalist Papers are an important part of American history. If not as important as your Constitution, it’s quite close. Their quotes are inspiring and the information provided is useful in these trying times where government has forgotten what its role is to its people. God bless! Allen Barnes – I love it. I am getting an education in history and our founding principles in bite sized pieces one day at a time. I constantly re-post the information and I appreciate this effort to inform the American public of who we are! Mark L Geisinger – I benefit every time I visit your site. Sometimes learning what’s going on inside the head of a founding father greatens the understanding of the document signed. I have a better understanding of the times, places, and “stresses” everyone was enduring while these great documents were created. Thank you and please keep up the great work!! Micah Marlowe – I love that something said or written so long ago seems just as or even more relevant today. I like that you remind me of that. Joachim Nikolaus Steinhöfel – Thank you for refocusing us again and again on the thoughts of these great statesmen. They are as important today, as they were in the 18th century. Pablo U Hunni – I love this page, with history being revised reporting the truth, history the way it actually happened is more important than ever. If we forget our roots we are doomed as a nation. Keep telling the true history. Gary Ursrey – I enjoy these post, I read them daily and share them many times with my friends here on facebook. I see this as a reminder to all those that have forgotten and it is essential to let others see what our founding fathers thought and wrote concerning the government, its powers and boundaries. Thanks so much for posting this valuable information. Howard Pastorella – I haven’t followed the post consistently but I do click the “like” button when I do see it. We have a great country of laws and opportunity. Greatest in the World. But we have to be vigilant to keep it so. More than ever we need to read everything we can get on the lives and the vision of our Founding Fathers. Our country was no accident. God gathered the best to put the foundation of this Nation in writing so we could be One Nation Under God. Keep raising the banner of the greatness of our beloved United States. Art Harper – Great, and simple source of access to ideas and conversations of the founders. I frequently share the articles for their appropriate and time honored content. Julius Henry – In the vast face book wasteland of pop-culture, sexual images, and bathroom humor; the Federalist Papers stands out as an educational, thoughtful, and occasionally pithy place to come and further ones education. Kent Swanson – As a self-proclaimed Patriot, I find your posts a refuge from my daily grind. Brian Jon Tap – With all the media sound bites and misinformation that exists everywhere it is great to have the statements of the founders and others who express the true nature of freedom liberty and the precepts of which this country was founded and the basis of this Constitutional Republic which is now an endangered establishment. Andrew A. Gugliemelli II – Your site has awakened me to how far off our current government is from what the founding fathers of this nation built and set the precedent for. Anyone disagreeing with anything here should not live in the USA and should go live where that countries ideology suits them best. This is America and the only point of views respected & heard and considered should be the ones that make you free, respect others freedom and property, expressing our rights & gun ownership. This page is absolutely essential in the cause for freedom to stay alive and awaken others. I love this page. Leigh Standish – Equally enlightening are the anti-federalist papers from the same era. Daniel Schofield – Your work makes it possible for me to do my part, to do more to keep our Constitution alive and in protective force as I share the messages! I have little time otherwise whereas I can light my candle from yours bring the light on share at a time! Thank you for the sacrifice! Gadiela Neitsch Gallant – These words are rich and feed the soul. None of this is taught in schools. Kids don’t speak intelligence anymore. We need to be reminded as a country where we come from. There must be repentance and a surrendering to Christ. He has extended us much grace in these days filled with evil. I love reading the works of men who really understood freedom in the light of God. Beverly Gerard – The Founders ideals and words need to be repeated, repeated and repeated … words of TRUTH! Wanda Butler – This country was founded by our former fathers based on the Constitution. I enjoy your post and also share them. If you believe in the constitution then you need to continue these posts Thank You Federalist!! Keep up the great work!! Ken Collopy – LOVE IT!!! Most of the shares on my FB paged comes from the Federalist Papers. I love seeing and sharing how the founding era fathers would have addressed the very SAME problems and concerns towards government and liberty that is being debated today. That wisdom is indispensable, I know of very few others that are as faithful to getting their wisdom to people as the Federalist Papers’ page. Thanks, guy(s)!!! Vivi’s-lafter Spencer – all of the info you post here on TFP, is reputable, verifiable, and effective. And I have found something new regularly! Thank you!! God Bless America, The Land We Love!! Bart VanAllen – Some people have sports heroes, some people collect the newest cellphones — I prefer to increase my knowledge of our history and culture. I can make far more intelligent decisions based on what has worked and not worked in the past, and that is the same light used by our Founding Fathers to put this, the greatest nation ever in the history of this planet, on the path to excellence. To know why the mass slavery brought by the European model of elitist tyranny is the wrong way to go, you must know the correct path to Freedom and Liberty. Our Founding Fathers knew all of that, and to study them is the first step in overcoming the looming evil of the socialist model. The posts by the Federalist Papers brings this to light in an easy and short read, learning post by post what is real and what is not. Bart Denison – Every day I come across quotes and references from the Federalist Papers which are still appropriate today. If every citizen of the United States would read and learn the Constitution, and temper that by reading the Federalist Papers, the politicians in power would tremble in fear of us. Róisín Michele – It has helped keep me informed, while discussing important issues that affect our nation. I enjoy this page, as it fits in with my ideals and beliefs as to how WE should be running our government! Raymond Kutylo – On some days The Federalist Papers’ posts are the only ones worth reading on Facebook, and for many people TFP is one of the few daily links they have to our heritage and the foundations of freedom. I Share the posts regularly! Thank you! Christopher Yale – The Federalist Papers themselves are rather dense and hard to read. However, the posts on this page help me to understand the content of the historical writings by allowing open discussion on the posts. This not only helps me personally, but also helps me to explain the papers to others, in a more understandable manner. Thank you! Lura N Larry Helms – This page has been a valuable asset to me. Reading in the Founders own words, their intentions and their motives has strengthened my long held belief that these men held our God given rights in highest regard and importance when crafting our founding documents. Their own words debunk the notion that these men placed no importance at all on Biblical precepts and the necessity of good moral character on population intent upon self-governance. Brent Bottorff – I just love to hear and learn. I was brought up in public schools, so it’s interesting to actually learn history. My teachers never seemed to like me because I would decent from what they were teaching; it never seemed to play out in public. They would always try and make me look stupid every chance they got in front of the class. Give me the persona of a trouble maker, when they were angry I would use their own teaching against their arguments. In short I always knew something was askew in the school lessons. Most of the story, or speech left out. Karen Ford Cartagena – I like your page very much. I wish this is what was taught in schools, so much of what the kids learn are the biases of the instructor and so what they learn are more often than not, skewed. Thanks for shedding much needed light and the reminders of what was intended from our forefathers. Dan Hunt – I appreciate the posts by The Federalist Papers. They are always current, topical, and extremely informative concerning the beliefs and intent of the Founders. It would be good if more Americans knew about and read these posts. Dean Cummings – I was a Poli Sci major in college and read the Federalist Papers. Your posts remind of what I have already learned and what I already know. Thanks! Dean Mustang-Matters Hillestad – I appreciate your sharing the thoughts of our Founding Fathers. This is so needed today when so many of the youth haven’t a clue and so many in DC do not follow the Constitutional path. Scott Manke – I so appreciate this page as it is a daily reference to the important writings of our founders. In this difficult time for our nation it is important we are reminded of what they said and did and the warnings they gave us. I have a copy of the Federalist Papers and it is a fine companion to the constitution. Revive Our Beloved America Awesome work! Thank you so much for your defense of our Beloved America!! Myra D White – Love this every day! It never ceases to amaze me how the Founding Fathers knew back then of the calamity of our country and most of it holds true today sadly! Karla Dyer – I’ve only added this page about a week ago and so far i have liked and shared just about everything. I like that your posts are to the point yet mostly un offensive (some people find offense in everything hence. The word mostly). I like that there is a good mixture of opinions here it makes a good read from most all points of view. Thank you. Sincerely Karla. Dallas,Georgia. 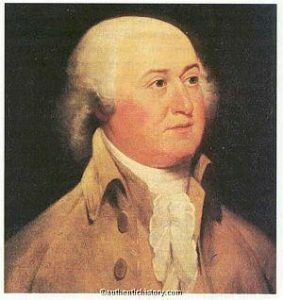 James Doss – The Federalist Papers page is, bar none, the most informative resource on facebook as it relates to the state of mind and direction that our founding fathers wanted for our young nation. If looking at this page was ALL I could do with Facebook, I would still do so. The page IS that good. Jim Lucas – Mere words are inadequate to show the appreciation that is deserved for these posts, therefore, I pray you find satisfaction and comfort knowing that they are thoroughly enjoyed and anticipated! God Bless and please keep up the great work! 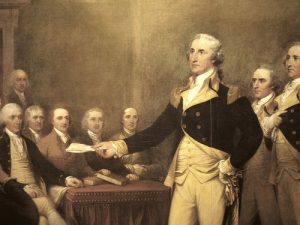 Pat Kelley Bradshaw – Excellent source of needed historical information relevant to today’s lack of understanding and intentions of our founders, their sacrifices and dreams for a country whereby men governed themselves. 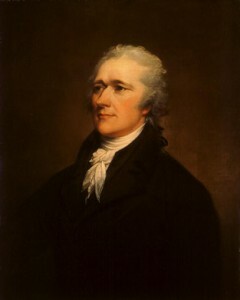 Andy Hummell – The Federalist Papers provides a great service in keeping alive the political genius of our Founding Fathers’ wisdom, and by sharing it in manageable bites that allow us to reflect on what a great gift we have in our Republic and in our Constitution, and what we stand to lose if we don’t reverse course and turn away from the march towards oligarchy. Unconquered Vet – The federalist papers are a very important part of our history, you and all that work for this group are greatly needed and appreciated Ii share every post you put up, I have even learned a lot more since i subscribed to your group, thank you and keep up the good work. Bob G Bergmann -To know your future, you must know your past. To understand the government you must understand those that created it. Martin A Tolan – Federalist Papers is a fine resource for examining the thoughts of our founding fathers, and more contemporary political thinkers! Fine page you have here! Timothy Melia – The Federalist Papers is the only Facebook page committed to reminding the rest of us that the American Revolution is still alive and well, even after a War of Independence, a Civil War, two World Wars, and 9/11. The sponsors cite historical figures from every period of American history, as well as historical figures on whom the Founders (and later American political figures) drew for inspiration. Norm Bloom – Keep up the good work! You are doing a GREAT job of re-visiting history that EVERY American should have firmly ingrained in their heads. I really enjoy the quotes for a context of what the Founders faced in relation to today! God Bless! Alena Harrison – Love this site! I often share the quotes and photos on my page. L. Jamie Christopher – I love the Federalist Papers…a full true reading of these documents gives us incite into the first real use of propaganda in America. Propaganda is not necessarily a bad word. 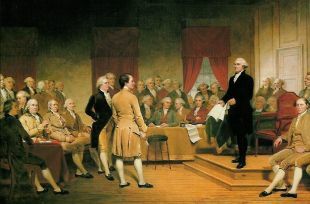 These extremely intelligent men were trying to convince the other extremely intelligent men the necessity of ratifying the constitution…believe it or not, many of the colonies felt as though this document could replace the British Monarch for an American Monarch in the Federal government. The wisdom demonstrated in the concept of Republic bound by a set of rules that are the framework for a society. Beautiful. Ben Beaird – This is my favorite historical and political page. I am subscribed on facebook and twitter. I repost more from here than all other pages combined. Please continue. Drew Cote – The Federalist Papers is always a welcome and anticipated addition to my news feed. The quotes and information are always fresh, and their timing always provides a relevant counterpoint to the ever pervasive anti-American progressivism that plagues our daily discourse. Beth Nelson Smith – I homeschooled my kids (all grown now). During our history studies we read the Federalist Papers and Anti-Federalist Papers along with a couple other great books. I wish I was setting aside an hour a day reading about our history like I was back then. I love the quotes and encouragement you give reminding me why I need to know my history. It is SO important. Thank you for the quotes and opportunity for dialogue your page gives. Janet Montgomery Massey – These wonderful posts are the backbone of my newsletters to Conservatives all across America. I repost at least 1 per week – sometimes every day! Keep up the good work and great research. I saves me LOTS of time and effort. Joe Vigliotti – The historical quotes r my fav thing bout this page for history repeats its self. Bob King – I am a true history buff. I also am a diehard conservative. With every post from The Federalist Page, I acquire a better understanding of the intent of our founding fathers, the framers, and our Constitution. Keep up the good work. Master Sickology – The Federalist Papers! What more can be said. These authors are what keep us Americans proud to seek out truth, justice, intelligence, and faith among our fellow men and women. 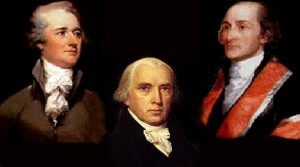 These men: Hamilton, Madison, Jay, are who have inspired many of us to hold on to true patriotism and humanism. These writings are what keep us waving Old Glory high and proud. We can’t lose that ever! We cannot forget the Federalist Papers! They are our hope. The most important piece of knowledge we as a people and nation will ever have. The reason I love this nation with such deep, intense passion are these papers! Alvin Criswell – I love this page. It helps shed light and enlighten the principles of freedom. It’s very educational. Thank you for posting. John Park – I’ve begun sharing these posts. It allows me to share my political views without actually getting into politics. After all, who’s going to argue with Abraham Lincoln? Barbie Ann Burrow – I have found this page invaluable for sharing and for teaching my grandchildren. Rosa Guzman Nieves – In a time of ignorance of our nation’ s history and misinterpretation of original documents it is enlightening to read quotes from the people who wrote them and get knowledge of their intent. Going through this page is like taking a History course. I appreciate the time and effort put into this page to bring excellent posts. I also enjoy reading the different posts/replies. Ed Comeau – You have been a great help to me in explaining the principals this country was founded on. Today, so many people think our Constitution is open to interpretation, when in fact the Federalist Papers are a key resource in illustrating exactly what the intent was behind every aspect of our Constitution. John Steele – I have found The Federalist Papers to be invaluable and I look forward to each posting. In some cases they have reminded me of aspects of our government that I had forgotten and in others they educated me in aspects about which I was unaware or unclear. Every American should subscribe. Randall Alexander – The posts are great. Educational and relevant still today! Charles Ridge – To quote our founders, none look elsewhere for truth and the foundations of freedom and for our God given rights. The Federal Papers is an excellent reminder of what to cherish and what to avoid in today’s society. Geoffrey R Young – The founders understood the power popery had over the kings of Europe and the 50,000,000 martyred in the name of God during the 1260 years papal rule. They gave us a republic and a government that understands the rights God gave man to choose who and how to worship according to the dictates of the heart or not to worship a God. The Dark ages have been left out of the school books for a long time and we are seeing attacks on personal Liberties rise it ugly head. Those who fail to learn the lessons of the past are doomed to repeat them. This is why I appreciate the Federalist papers being published in this forum. Mike Weatherford – THESE are the things we should have learned in high school history and civics classes. The lack of this knowledge is one of the major reasons we’re in the mess we’re in today. Never stop posting this – our nation needs it! Robert Williams – I’d like to take this opportunity to thank you for educating me beyond the poor limits of public school. You’ve given me hard, truthful information that I can use in every day conversation AND in the poll booth. In many cases you’ve given me the “backstory”. You’ve given me the reason that so many things happened as they did and for that I am VERY grateful. Albert Booth Jr – I enjoy reading these postings. I have learned more about the reasoning behind the Founding Fathers’ actions than I ever did in school! Mary Summers Hearn – I love getting these posts. They’re easy to read, and so pertinent to our country today and what it is not doing or is doing wrong. I’m learning a lot I didn’t know too. keep eM coming. Brian Campbell – As a private citizen it is incumbent upon me to know the history of this nation so that i will be able to know when i am being misled or misinformed by the press or politicians. I also really enjoy when TFP highlights the anti-federalists. Without them, the Bill of Rights would not be. Nancy Acridge Cisneros – This page has probably taught me more about the Constitution than I EVER learned in school! Anthony Emmons – Look fwd to viewing your posts. Very educational and enjoyable. Reminds me of years ago when I used to read the Fed Papers on an annual basis. Thanks. Don Johnson – My family has been in N.America for almost 400 yrs, and both my family and my wife’s have been involved in the founding, defending, and sustaining effort ever since. This site is a most necessary source of unbiased, historical, education that stands as the beginnings of a balance to the print and broadcast media today. Thank you. Rodrigo Gomes Flores – Study the Federalist Papers is very helpful for a Constitutional Law student like me, even from foreign countries. It also serves as an example for all countries that lives under democracy. Thank you very much for your great job! Scott Bastos Ko Houseknecht – I have heard Rush refer to the papers on several occasions, and thought that they were a great insight into the reasons behind our Country, our Government, and our Constitution. I wish I had been taught this in school 25 years ago. If it had, maybe we would not be so close to losing all our liberties in the next election. Gordon L Malhoyt -Your comments are always pertinent and timely. Well done. Whitney Noel Jr. – I enjoy this site, it is inspirational. Our history is rich in sign posts, to help guide us back to the Republic which was first given us, you are the only source I trust. You cannot know how important you are to the movement. Information, history, all that we so desperately need to carry on the fight is given us by your efforts. You do a greater service than we in the revolt can ever repay. Thank you. William C. Hyland – I have been reading and studying the Federalist Papers documents for quite some time, and I have found The Federalist Papers to be a wonderful platform for ideas to guide myself study efforts. The discussions which crop on the various quotations and citations presented have given me insight into the Founders and their political and personal lives I would never have otherwise gained. David Clark – In times when our schools teach edited versions of our history, special interest groups force agendas that are foreign and hostile to what our founders established our country to be, the refreshing and honest presence of your words to remind us of what the truth is. Thank you and keep up the good fight. Shane Cambre – I enjoy and agree with a great majority of what is posted by this site. I like to think that my allowing the upload of material to my facebook page where my friends can see it even if they are not subscribed is support. However i will say thank you for all your hard work at getting the message of a democratic free and just nation out there. You guys truly rock. Thanks! Jeffrey Meier – I appreciate the work you do as I often share the info. So few even know of the Federalist Papers much less how they played in the founding of our Great Country. The Progressives have tried for a century to eradicate History, yet it is TRULY of the utmost importance that we educate ALL Americans, especially our children and put an end to the ‘indoctrinating’ of our citizens!! So much I have learned over the last couple of years. Many thanks and keep up the good work. Howard Blair – I have believed in what our Founding Fathers have done to make this wonderful Country FREE. I do feel GOD directed George Washington and our Patriots to overcome the British. The Declaration of Independence and the Constitution of the US is alive today. Matt Schwind – Like your posts very much. Your staff or contributors pull key quotes and phrases from the archives of this great country that highlight the thoughts, core beliefs, and cornerstone principles of the Founding Fathers. I find your post to be a beacon, shining a bright light on the path we SHOULD be on. Keith Adair – I enjoy your site. It teaches things that our schools refuse to teach anymore. Pete Di Donato – Great posts. A great vehicle for the awakening of many as to the truth of what American Liberty is truly founded upon. David Lox – I personally appreciate your page- helping to remind people what this country was built on and how far out of character it’s become. Trevor Clemons – ‎”The Federalist Papers,” shares quotes and insights into the minds behind the genius of the founding of America. It is a constant source of inspiration and illumination as to how America was intended to work, and where we have gone astray as a nation. Kevin Brake – Even people who feel well versed about history can benefit from these posts. It is a shame that the idea of federalism and the whole collection of ideas from the federalist papers are not taught widely. So it falls to those who want to make a difference, thanks for your work. Mary Fields – I share almost every Federalist Papers post. It is soooooo good to have true history for many FBers who have grown up in an era when our national heritage has been twisted into lies to support the liberal agenda. Thank you!! David Whitney – Keep up the good work…. Steve Sanders – The Federalist Papers webpage serves not only to remind us of our nation’s history, but also acts as a primer and guide for our current society to judge the actions of our current government. It also helps people to decide for themselves which direction they believe our country should be moving in. A very useful and bright spot among most of the garbage normal found on Facebook! Elda Maria Orozco-Delgado – Thank you Federal Paper…I love the American History, give us an inside view and information. Important for every American to appreciate the Freedom we all have enjoyed, and that we need to protect. Shame that schools no longer provide the beautiful history of America and foundation of our Republic…Thanks again! Kelly Rentschler-Mills – The Federalist Papers has been a wonderful learning tool for those of us who did learn these things in school, but a very long time ago. It has been a great refresher course! For those who no longer learn these things in public schools the Federalist Papers are mightily important! I hope these posts are reaching our young readers!! 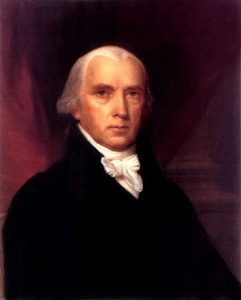 Jimmy Clem – Thank you to those who have composed the articles written here on The Federalist Papers FB page. I have begun a study of the Constitution, Federalist Papers, and those documents scribed (literally) by our Founding Fathers. To quote Alexander Hamilton, “He who stands for nothing will fall for anything.” In “liking” and posting this comment, I do realize that I might be considered a subversive by our government. No matter, Patrick Henry said it best, “Give me liberty or give me death!” I would graciously honor a friend request from anyone who chooses to ask that identifies with the ideals our Founding Father held so dear. Sherry J. Mosby – Thank you for telling us the great founding of our country. Jason Ellingson – Thank you for the fantastic page. I look here all the time to check my beliefs and ideas about government match with our founders. Steve Nelson – I want to thank you for the work you do on this page. I believe these comments are some that we all need to be reminded of how the founding fathers established this country, and just how far we have managed to stray from it. Patricia Holland – This site peaked my interest in American history and help forge my way to purchasing books about parts of our history not learned in school. The quotes and discussions helped me return to the study of our history and those documents that express our freedom and liberty. It has given me a greater insight into the importance of supporting our Constitution and a greater resolve to learn more about the men and women who made the sacrifices to create a country where we can live freely. Jack Roberts – It is a debt of gratitude that compels me to respond to your request. Not only is the content of your posts relevant and concise but the format and attached photos are superb for spreading the immensely important content that you have once again shown the light of day. Thank you sincerely and please continue the great work!! Ron Brough – I love all the post you do. It helps me with talking to people. Thank you for all you do. Ann Christian – I share the posts because very few people are aware of the writings of our founding fathers/statesmen. It causes us to think about the principles that this country really was founded on. Bruce Lazarus – You bring the Founders genius to fb daily. I share your posts almost every day. I believe ALL America’s problems would be solved by strict adherence to the Constitution as written; not any reaching obfuscated interpretation for the purpose of circumventing the Constitutions intent. Thanks for all you are doing. Dennis Wellington – Showing the times of our for-fathers, is needed to show the people that history does repeat itself. Keep up supplying the quotes of the day! Kim Sturtz – IN 1776 the Gov. was smaller with the Gov. Smaller I think they might get more done then today’s. Sue Draude Mann – I appreciate all the hard work this page requires. Thank you for reminding us of where we started and the upstanding God fearing men and women that gave the US life. Paula Harrison Gatewood – I’m grateful for the enlightenment. Chriss Johnson – I really enjoy reading the historical facts you put out. I have learned so much and very often share your posts. Thank You. Ruth Evanovich – Thank you to the Federalist Papers, Facebook page! You remind us that we were founded in the name of religious freedom, because of tyrants who would impose their beliefs on we the people. Freedom of speech was the reason the forefathers worked so hard to write these important words during the birth of our great country. Freedom to bear arms to protect our country and way of life. The American people are hardworking and good people, who sometimes forget that freedom is easy to lose. We need to pay attention to our leaders and make sure they are equal to the people and not taking Americans livelihood and property and undermining our freedoms. I think that not voting is cowardly and ignorant! Frank Vara – Thank you Federalist Papers for bringing meaning to our Founding Documents and our Founder’s intent. We have better understanding and wisdom because of your posts and work. You encourage education and maintain historical integrity. Lonnie Flowers – High School History was one of my favorite subjects BUT also was a very long time ago…45+ years ago! That being said, the postings on The Federalist Papers FB Page are as relevant today as they were when they were first spoken by our Founding Fathers…..220+ years ago! Rediscovering and following the “Hope and Change”, described by our Founding Fathers, must remain the direction of our Republic. Rich Cerbini – A fabulous resource for the wisdom of our founders and the first patriots. If only our children learned the lessons you remind us of daily, our country would be in better shape. Mike Reynolds – I LOVE IT!! I believe myself a conservative patriot…. I fear BOTH parties…. Your research is always 100% of the time informative. AND I repost about 25% of yours to clamorous comment. THANKS,! Ray Cornett Sr. – Thank you for your postings……..really enjoy reading our history and I also pass it along………. Derek Daniel Harris – TYVM 4 all u do! Absolute proof that the current discussion on the role of Govt has been long debated but never been so eloquently elaborated on then in the Federalist Papers which should be required reading for all citizens of the USA! Linda Chandler – In ‎1965, American Government was a required subject my Senior Year..so very glad for a refresh course and now it means so much more to me….1964, American History, I loved that class and today LOVE it more!!!!!! Thank You so much, I look forward every day for the new information and am so happy when it is something I learned long ago and when it is something new for me, I just so appreciate learning more!!!!! JR Roberts – As a teenager, I did what I needed to do to get through high school with a decent GPA. As a mom and as a patriot/activist, I am now thirsty for all the information that I did not hold onto as long-term and essential knowledge. I read almost all of the posts for the Federalist Papers and share them regularly. Thank you for a worthwhile Facebook resource and source of inspiration during extremely trying times. Gary Smith – It is an education in history if one takes the time to read further than just a headline.. Thanks for your work, I enjoy it. Bob Lange – The information provided on the “Federalist Papers” facebook page is greatly needed. The indoctrination that currently passes for public education fears any information that truly illuminates the principles on which this Republic was founded. John Hirte – I use the posts almost daily not only to educate myself but others who either forgot or ignore the foundations of our nation. They are invaluable nuggets of information that cannot be forgotten. It is like a little mini-history lesson every time I open up my page!!! Thank you SO much!!! Michael Loftus – I enjoy the insight of how the men who designed our government thought and communicated those thoughts. I downloaded the quote information and love it….thanks for being there. David J. Stoffel – The Federalist Papers (FP) Facebook group is a place where I have discussed our country founding principles. A place where we can disagree on principal, argue the point and still be friends at the end of the day. The FP provides a daily dose of inspiration from our founders. Through the education that I receive by reading the documents I have learned Liberty cannot be diminished it can only be destroyed. Liberty cannot be divided, a person is either free or slave. Where there is liberty there is life, hope and a promise for the future, given to us by our Creator. Bob Thomas – I love your posts. It is criminal that AMERICAN history and pride is not taught in our schools!! Jeffrey Lane Sorensen – It’s great to have the informed out there keeping us informed. Carla Cross – I enjoy your posts and think any American would gain a better insight of our country by subscribing to FP. Keep up the good work despite people who would love to debunk anything you say because of their American hatred. God bless you! LuAnne DePriest – I enjoy reading the small bites of our countries past that you post. We need to know our history, and too many people don’t take the time or can’t sit through the reading of the Federalist Papers. Something each day is digestible, and easily shared with our FB friends. Thank you for the work you do and please keep it going! Paul Pender – I always learn more and more about our Great Country from the Federalists papers. Congress people should have to pass a test on them before they vote on anything that affects our lives. G. Christopher Scruggs – I love these posts. I was just thinking about how much they mean to me as I read them. Brian Young – I love to hear and learn the words of our forefathers, founders of the greatest nation ever formed on earth. Those that do not learn history are bound to repeat it. David McRight – TFP is one of the few pages that keeps me here. I have thought many times about disassociating myself from facebook altogether. If it weren’t for “The Federalist Papers”, “The Founders, Religion and Government”, and a few other likeminded sites, I would have already shut my account down. My knowledge of the founding of America has increased substantially since I have been reading and commenting on this site. Steve and Sandi, Thanks for all your work. Mary Cypher – I appreciate the careful and complete documentation of quotes. It underscores the validity of the content in a way nothing else does. Steve Whitlock – Love the pictures quotes and learned a lot. Jo Snipes – I come here when I need just the right response to someone who needs an education regarding the founding of this country. The quotes remind me where we came from and how far we have strayed from original intent. Rita Schneider – I love quotes and I love our country’s history and so The Federalist Papers facebook page is a wonderful combining of the two. Also the pictures are eye catching so when I repost I know they will stand out. Thanks for such an important page! Belinda Krech – It is great to post for others to read and refresh! Great, great reminders of where we have come from. Robert Thomley – The Federalist Papers is educational and entertaining at the same time. Reading the words of the founders puts so much into perspective for me as to just what needs to be done to fix this country. It’s all there, nothing else is needed. Now all we need to do is find some leaders willing to follow those instructions. Thank you, your work is appreciated. Vance Boettner – Excellent conversation starters….THANK YOU!!!!! John Melissa Gibson – I’d say I repost about 70% of the content I see on here…you folks do great work. Keep it up. Hubert Barnes – Every ounce of our Freedom and Success as a nation can be traced back to these men and their wisdom. If we forget our History, we’ll lose it all. Thank you for reminding us, educating us and most certainly sharing with us some of the most important facts of our Nation’s founding. Rebecca Sheets – I am doing the online course thru Hillsdale College…CONSTITUTION 101….I was introduced to The Federalists Papers as part of that course….I was never for one moment bored and am learning so much……..I will be a much more educated as I vote this time…..
Tammy Moser – We love this post, it is such a great reminder of our nations birth, our freedoms. I pray it will cause us to stand up for our freedoms that now are at great risk. Thank you so much, God bless and keep. Julie Esposito – This is a wonderful page that educates, inspires and reminds me constantly of the miracle of our nation and how blessed I am to have been born here. Rick MacCrone – Your page is for patriots…that’s why I share many of your posts. It is important that people realize how we got here and what it cost else they doom themselves to repeating history. Thank you for your efforts!!! Harry J. McGuigan – It is very helpful to read your posts and understand how our founders thought. It reveals how far down the destructive progressive slide we have gone. By contrast, it helps reinforce the true founding principles of our republic. Keep up the GOOD WORK! Melisa West Johnson – love the information! Larry G. Logan – Since I first “Liked” this page I have been sharing some of your posts with others. Some are clueless as to who or what exactly is a “founding father.” To these I give a link to the “Declaration of Independence”, the “Preamble to the Constitution”. Some still do not understand but one or two are starting to ask relevant questions. I think our schools no longer teach history. David Park – I appriciate the quotes of the founding fathers very much and hope very much that my sharing of them with my fb friends will help to increase their appreciation of this Great Country. Karin Menke Dronenburg – I’ve re-learned a lot of finer points in American History from this—-and I’ve also read some things I’d never seen before. I look forward to postings every day. Alyson Burnett Rawitch – Although I sometimes perceive a political slant to which I may not agree, I do enjoy the history and philosophy. Linda Weaver Kiser ONeall – An educational and patriotic forum on the history and intent of the founding of our great nation. Absolutely great! Ronald Linkfield – Read the Federalist Papers. Teach it in our public schools.. I think we will get back our heritage…the Marxists do not like the Federalist Papers….HMMM DUH!!! Luke Forehand – The “papers” should be required reading for every citizen. Thanks for reminding us. Chuck Paul – We wouldn’t have the economic and political problems in this country today if teachers in the public school systems used your material. Keep up the good work. Monroe Township Republican Organization – Your postings are wonderful, educational and extremely interesting. It is too bad more people do not know about our history and don’t subscribed to this page. Well done. Dave Higby – So many people are ignorant to the thoughts of the founders towards the constitution. The papers give valuable insight. Thank You. Michael Lang – The intent that is illustrated in the quotes you publish is everything in how all Americans should read and must define the US Constitution and founding laws. The intent of the Founders means everything otherwise it will be redefined time and time again by power grabbing individuals with the backing of big government. Carrie Woodhams – I too thought I would just plain like what was posted. I am a big history buff especially family tree history and have many ancestors that fought in the Revolutionary War. George Washington is my cousin. I just clicked “like” this past week and already I am blown away by how awesome this page is and how informative. Thank you for all you do. Dwayne Whitman – Truth is truth. I went to schools that taught me the Declaration of Independence, Bill of Rights, The Constitution. I’ve seen all those eroded and understand today, that all I see is not Right. Nancy Barrett -Yes, I do like your posts and have re-posted some of them. Gina Valence – The Federalist Papers is educational, consistent and fair. And they also post great portaits of American Art. William Buchanan – This is a great page. I love the history as it was then, and how it applies to us still in these current times. Brian Kenat – Thank you so much for posting!!! I really appreciate you! Scott Ewing – I have learned, and been reaffirmed to more focus on where our Founding Fathers came from, intended us to move forward and the protections put in place to do it so in a just, fair, and democratic way in which the people have a say at every step. Yey… to you all. What an enlightenment. Kim Martin – I rarely comment on the site, but I ALWAYS read, and often ‘share’, the posts. This site helps keep me aware of (and learning about!) my heritage as an American. It never fails to be informative, illuminating, and inspiring! Richard Hunt – I already knew that our “Founding Fathers” were smart men. Then again, calling them smart could be considered degrading. The “Founding Fathers” were absolutely brilliant. A lot of the pictures used, bring tears of pride to my eyes. Steven Jacobs – The Federalist Papers is definitely one of my favorite sites to follow & share. It is both comforting and empowering to know that so many people share the same innate feelings and beliefs on the subjects of freedom and limited government. It seems that it should be a matter of common sense, so I am usually completely amazed when I encounter anyone who is an opponent of those same values and viewpoints. The information should be a required component of a proper education and a refresher course for ALL politicians. You are providing a much needed and greatly appreciated service to citizens everywhere. Keep up the excellent work and THANK YOU SO MUCH. Dianne Dougherty DeVore – This has been a great site and one that I have enjoyed daily and learned a great deal from on a daily basis. It places history in front of us as a stead daily diet, which is something that is sorely lacking in our nation’s government schools where revisionist history is being taught to our children. Thank you for binging this site to so many people who do appreciate it. Kat J Rot – I appreciate the History lessons. Please do not stop. We need to constantly be educated for we forget too soon. George Hill The historical contexts are priceless, literally a unique resource. Love your efforts to educate and expose the sometime ignorant to the inspired wisdom of the Founders of freedom. John C. Corley I like your providing of historical perspective. Paula Harrison Gatewood The voice of freedom continues to ring in very post you make, please continue to remind and educate. Chuck Roth You have researched, diligently, the process by which our Founders ruminated. They put into code what Deity had long since given us. Now, with the excellent postings of your page we may properly defend against the attacks of the Left. Paul Piva Wonderful site. I haven’t had time to read all of the Federalist papers, but seeing them in the snippets you have presented, have been very educational. Many are already familiar and others were new to me. Thank you for your work. Nick Mlinar Easily the best on Facebook. The actual words from the men who said them are so often different and usually completely different then what you read in todays books. The arguments of yesterday still ring true today. This page brings the full context of the statements not just the opinion of what they said. Reading the originals will completely change your view of history from what you’ve been told and this pages brings them to you. Holli Carter This page is such a blessing! They are such a bountiful source of knowledge about the past. What more could a girl want? J. Walker Rugino I started doing research into “the intent of the Framers” while Reagan was yammering, and the FP on FB brings up a lot of cogent topics, with relevant quotes and references that are still central to our political discourse, whichever side of the argument you stand on. Scott Hanson I believe it shows our founding fathers and statesmen were a whole lot smarter than our present ones. Lucia Jahaira Perez The fact that you have brought to us the root-thought process of the origins, vision, and objectives of the birth and development of our nation is priceless! Thank you for this monumental task ! Education is the only process for transformation. Matt Kocian People need to be reminded of how and why Our Great Country was founded and the Great people it took to do it, thank you! Larry Ballard I have been following your posts for months and love them. The current population is mostly ignorant re: Federalist Papers. I have read them and enjoy the reminders seen here. These posts also provide gems for the intellectually curious who, as of yet, have not read them. Keep posting. Who knows how many people have been inspired to look deeper into the wisdom of the founders. Thank you. Jeffrey Kemp It is very interesting to read the thoughts of our founders. This should be taught in school to give the real meaning of the Constitution. Angela Winningham-Worthey Loving it!! I am learning all the things my “wonderful” public school system never taught me!!! So this is why these men were so great. hum….just saying…..
Connie Berry Love the historic perspective and the emphasis on the the Founding Documents. Thank you for your thoughtful presentation of American History. Anna Ortiz Palafox Well, I personally found this page through a FB friend. I love this page and the harsh work of maintaining it for it brings me pictures and quotes of American Independence process. As for the conversations, I don’t usually read them. Sometimes, if I get the chance, they help me in improving my English. Therefore, I’m very grateful to all of you. Scott Maddan It is a stark difference from what our founders intended for our Republic and what our “leaders” today think it is or should be. The quotes and references given here are great tools to refute the progressives and warmongers or our day! Keep doin’ what you’re doin’! David Oberg Your information, and your Facebook posts are very interesting and informative. These should be used as talking points in history classes at every grade level in our government schools. Les Moses I repost most of what is posted here. I think if we do not learn from history we are doomed as a nation. So much of what the founding fathers wrote is so relevant today! There is nothing new under the sun in the way of politics, just new labels. The American public has not, for the most part been educated in the real founding of this great nation. Daniel Baber Reading the writings and sayings of the founders has helped me realize that the only way to get back to prosperity for America is to embrace the limited gov’t Constitutional Republican ideas enshrined in their ideas and the documents they wrote. I’ve also come to realize that there are other constitutionalists in our midst and that the current two party system is failing us and I’m not the only one that has come to this realization. Thank you for spreading the wisdom of liberty! Neko Antoniou Knowledge is power. Keep doing what you do. It is appreciated. Mark Butler My favorite and most shared page. Always right on target! Bruce Fultz I love it best thing on F.B. David O’Connor The Founding Father’s knew very well liberty could be taken away if government got too big for it’s britches. One of their greatest fears was the citizens would just stand idly by and let it happen. Dave Hubble I truly appreciate the historical renditions, and timeless phrases that are brought forth by the Federalist Papers. While the words of our founding fathers are always excellent advice, we live in a day and age that it is more important than ever to adhere to their teachings. Thank you for your work! Gary Bishop The Federalist Papers website serves as a great reminder of the incredible gift we have been given by our wise forefathers. Liberty is a gift of God and man’s natural state. Government’s job is to safeguard and protect our rights, not regulate and tax us into submission. Thank you for your support of our nation and its founding principles. Eric Kisor Your posts are what I hope to see first on Facebook. Your quotes are as significant today as the day they were written. It proves that the men that founded our country and wrote our constitution did so with forethought and purpose. Thank you for re-kindling history, it is easy to look beyond it. Carol Washington The geographic separation of the Colonies from the King allowed a sense of independence and self-rule to develop among the people. Coupled with highly intelligent, well read men and women (Abigail Adams was her husband’s equal) to channel and articulate that sense of independence, they wrote for the world to see what they were doing and WHY. The Federalist Papers reminds us of the deep thought, commitment and hardship of our Founders; a reminder America very much needs and the world could learn from. Thank you, CW. Rick Anderson I found your page through an old friend I reconnected with on fbook. I find your information on the writings & philosophies of our Founders invaluable…I value your page as much as I do ReFounders here on Fbook, through their informative posts on black republican senators & congressmen going back to the end of the Civil War, as well as current events…just as I value you for similar reasons. 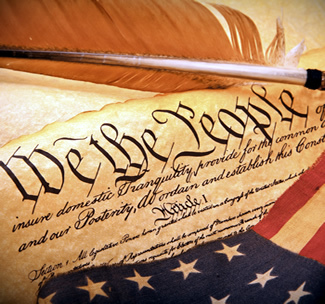 Knowing our Constitution…knowing where we come from is vital to our continued wellbeing. Thank You! James Gover You all are VERY MUCH appreciated. I enjoy the posts and commentary immensely. The subject matter is incredibly important to discuss and reflect on as we (as a nation) determine whether we will restore our Republic, or continue upon what F.A. Hayek called “the Road to Serfdom.” The First Principles of the American Republic are as important today as they were in 1776 and 1789… Perhaps even more so. Thank you again for all you do in holding our Standard high for all to see. God Bless you and God Save the Republic! Patrick Kempen We the People, need to know. Please know the importance of the distribution of these documents. It is of dire need of this country. Your efforts are admired by many more than you will ever understand. Sandra Loftus Germann Your page is outstanding on all counts, in all measures. When I repost your information, I get more “likes” than most any others. As most above here, the knowledge is power, refresher courses, reminders and educational to what has been lost and adulterated in schools. Never give up, never stop and keep going. You are a very valuable part in uniting the right to defeat the left. God Bless America. Joe Redmon Outstanding. We must keep the fire burning — the fire of liberty — in each of our fellows…. Thank you. Keep the faith. Jeffrey Golding As a resident of Hatteras Island, North Carolina, I as well as the rest of my community have been subjected to oppressive federal over reach, regulation, and disregard for the law which authorized this nations first National Seashore. The efforts of the persons at “The Federalist Papers” have continued to serve as a resource for those of us that write about the travesty involving the Seashore in respect to the limits and responsibilities of our federal government and constitutional republic. I am inspired by the work of these persons in their efforts to remind of us the value of liberty, governmental responsibility, as well as our duties as citizens. May this fine and thoughtful effort continue so that all Americans may appreciate that which we have as well as that which we may achieve. Janel Baysek Garner Awesome! As a history teacher, I use them as intros to lessons. Ann Swanson This country ran with blood to secure our freedoms and are still doing it today. Don’t let anyone take that away from us and make their sacrifices irrelevant! FOR GOD AND COUNTRY! Gary Neal I just discovered this site and so far I’ve loved it and even repost some of the quotes I’ve seen on here! Keep it up, I like what I’ve seen so far! Seth Debb federalist papers are the EXCELLENT companion to patriotpost.com Emailings I receive . learning FOUNDERS INTENTS ,sources , thoughts to build a REPUBLIC , representative republic brings the JOY of hearing FREEDOM RING even in their original disagreements so carefully considered and crafted for a common goal of a FREE PEOPLE . David G. Stevens Any American Patriot understands the importance of unyielding, God-inspired values, the ever-present need to defend them daily, and the duty to pass them to the next generation. Your FB page provides an invaluable tool to share, with the world, that which defines the true American. Carrie Triepel I love the post. I use the posts. I share the posts. They are excellent reminders of where our country needs to return. Linda Young Information contained in these pages needs to be disseminated across this land of ours to educate the uninformed, to wake people up to what is taking place before we wake up and find that our apathy has taken our FREEDOM from us. You are doing an excellent job. Rex Sigmon I greatly appreciate your work. I frequently share the pictures and the quotes. Many of us are only familiar with only a few of the Founders; even fewer are aware of how they thought and the influence Christianity had on their thinking and our form of government. Cynthia Smith Your posts are an excellent reminder of the foundation of the founding of what and how this country was founded. I share them on a daily basis so PLEASE keep them coming!! 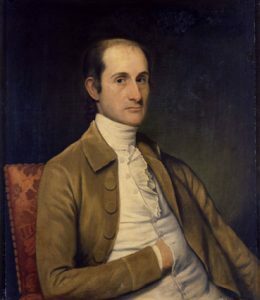 James G. Needham The Federalist Papers were and are the most fundamental documentation we have regarding the contemporary thinking which produced the Declaration of Independence and the United States Constitution. As an elected representative, by consent of the governed, I believe at least a nominal acquaintance with these deliberations is indispensable to any American’s observation and understanding of their civic duty. Paulette Tomlin Scott It’s getting a behind the scenes look at the incredible men and women. God bless them and this experiment call the United States!! Eric Collins Parker Thank you for all the postings, I read them regularly and find it fascinating not only how much our Founding Fathers had foresight, but also how little has changed in 230 years. Rich Hilgemann These papers are what sold the idea of creating this country to the early settlers. They are as fundamental as the constitution and need to be regarded as such. Steven Kanten The insight to our founding father is inspiring. Also enjoy the anti-federalist paper give even more perspective to the way the final was achieved. Thank you and keep it up. Jason Holum I enjoy reading the posts off of The Federalist Papers very much. And most of the comments as well. Many of the things that have been said in the past still ring true today. And those words were said by men that didn’t just say them to garner votes, but by men who believed in those words and acted accordingly. Now days folks can say anything they want to get elected, but they have a short memory when it comes to their actions after they get elected. It’s pages like this that remind us of the integrity that should be present in every one of our representatives, and I welcome it gladly. Victor Dietz I appreciate the connection to the original intent, feelings and philosophies of our founders. Thank you for your service. Edward A. Cleveland I value the opportunity to be reminded of what our Founding Fathers had in mind for our republic. What scares me is that those who we have sent to the Congress to represent us apparently do not understand – or read the Federalist Papers! Aaron Guy Thanks for your work, I share a lot of your posts hoping the message gets out. Maybe you picked up some folks to “LIKE” your page. Rob Pobran I Totally love your posts and I share them frequently! Sheila Delorge Happy to do so. I enjoy these pages and have learned as I have gone along. These are the kind of things our kids should learn in school, not the glossy version they get now or the lies they are told. Some of the quotes and speeches from our forefathers are absolutely great and I love reading them. Thanks for the work you do to educate us and show the real intent of the forefathers. Jason Lanier That man can rule himself. But only if he is taught how. You can’t soak this up out of thin air. Or expect your enemy to teach you. You must be taught what it is so you can want this with all your being and to teach others to stay vigilant in doing same. Judy Cullison You guys are the best. I share your posts for ll my friends and family to read. You post the the true meaning of what it means to be a proud American. Thank you. Travis McCann Your page is one of my favorites on FB. Lots of GREAT stuff! James H. Nelson The words of our founders during these perilous times , when the left threatens to crush our constitution, our freedom and our liberties, give comfort and reinforcement to the message and the sacrifice that our founders stood for. Thank you for your reminders and comfort. Your post help to fuel the fight for our constitution against the leftist progressive scumbags who choose to ignore the law of the land!!!! Brian Golden Shrieking echos from the graves of our forefathers warning, no, BEGGING not to make their blood, sweat and tears a thing of waste. That is what this page means to me. I believe every American should have this page on their list of “must haves” for if we do not know where we’ve been, we do not know where we’re going! Lois A Birnstihl Clayton I have shared so many of your posts, they are educating America one post at a time. Jon Worthington I always look forward to posts from your page. The Federalist Papers are the foundation of the political thought of our founding fathers and explains with great detail what they had in mind when writing the Constitution. Keep up the great postings! Mike Phillips I greatly appreciate being reminded of the genius and principles that are the bedrock of our great country. Sadly there is way too much selective amnesia and attempts to rewrite our history. Seeing the original words closes the door to revisionists. Long live the truth of the iron clad words of our founders! Gregg Dorsett Being reminded of the basis of the ideals our founding fathers had in mind when they formed our great nation is a solemn reminder of the work we need to continue as a nation. It is almost impossible to fathom how those men could have had the forethought to see where the country would go in the next couple of hundred years. Joe Sorenti I repost most of what is posted here. I think if we do not learn from history is doomed to repeat the same mistakes. So much of what the founding fathers wrote is so relevant today! There is nothing new in the way of politics, just new term and labels. The American public has not, for the most part been educated in the real founding ideals of this great nation and it’s incredible history. I enjoy this site continuously. Gloria Wiggins Edwards Our Awesome respected fore Fathers of this great America setting the rules to be up held through out history and the future for all Americans. Not to be up for being disrespected or challenged. It is what it is and not up for being changed by anyone. If you want something different go back to the country that fits your needs. I am one proud American. Dee Robertson I look forward to each posting from this site. It helps giving us hope. God Bless America…we all need to remember the sacrifices that were made with hope of tomorrow. I hope our government officials read all the listings….we are in such a crisis they need to listen to our fore fathers and founders of this country. William Ellis As a police officer, I am inundated by petty political rivalry, those that would usurp freedom for the sake of expediency, and lawbreakers of every ilk. It can be disheartening. Your posts remind me not to give up. Dee Williams Your page helps to remind us how the Founding Fathers viewed the situation in their time and helps us to attempt to apply those views today. I love it just for the history,too. Scott Williams I wish to thank all of you involved in the posting of the “Federalist Papers”. It is one of the few ways a person can get direct insight into the minds of the found fathers. The reminders are so relevant to the times in which we live. Thank you! Elizabeth Solle The words of the Founders help keep my political compass on course to understand the true intent of our beautiful Constitution. Truth is like a lamp in the darkness. Thank you. Steve Logan You are a daily reminder of the cost of freedom. I wish our kids would see this information daily in their young lives. Attn; Parents, teachers etc. Matt Desmond I thoroughly enjoy reading the different collection of writings from leaders past and other persons of note. The content reminds me of how lucky we ALL are to live in this great nation, and what remarkable foresight the founding fathers had in creating this unique republic. Matt D Danvers, Mass. Rich Coble The Founding Fathers, with their radical ideas (at the time), set up as close to a perfect society as can be realistically achieved. Individual freedoms was a radical concept and they got it right the first time. More importantly, they allowed themselves room for error because they were human and mistakes will be made and times will change. But with the foundation they built, a society such as the US should not fall. With the Federalist Papers, the Declaration and the Constitution, they laid out one of the greatest visions known to the world. It’s a shame we have begun the process of destroying all they worked so hard to build. Frank Andrews I thank you for keeping the U.S. Constitution alive in the times that no one cares for anymore. I hope you can keep going and wake up people about our land of the free which it don’t seems to be free anymore. Dave Sarver you guys have done a wonderful job of adding to my knowledge of our founding fathers and the principles they were trying to instill in our government. Thanks ever so much for using this forum to give us a better understanding. Barbara Callahan I think your page is great. It reminds me of what our forefathers believed and fought for and how much our country has steered away from that. Please keep posting, facebook needs this. Jeff Perren A Renaissance that returns adherence to the Constitution is one major means of reclaiming liberty in this once-great country. The Federalist Papers performs a valuable service in helping make readers aware of the philosophy and individuals that gave birth to it. Patrick Kemery I love what you do , the posts are great for sharing because that info does get around!!!! Daniel Philpott I thank you for having the vision of creating a format that gives bite size pieces to share. It has impacted a number of my friends who never took the time to learn about our history, and are beginning to understand why some of us get concerned about the things we do currently. Nancy Swecker This page is helping me know our founding fathers (and mothers) much more deeply than I did before. It is eye-opening to read their words and compare them to what is happening in America today. Ralph Coleman They are very meaningful and insightful, a refreshing thing in todays world. Steve Zuelke I routinely share the posts here. While I find some of the comments a little right of center for my tastes (I am a centrist moderate), many of them ring true and recall the sense of America that gave birth to this nation. We have strayed far, too far from those principles. There is no These United States any longer, it is a factionalist conglomerate of special interest groups. SAd to see the only time America pulls together anymore is in time of crisis, not for advancement. The federalist Papers often harkens back to those precepts that made us great and I appreciate the sense of Liberty and Democracy, with the occasional nod to the self-evident so prevalent here. Carol Blue-Garcia I have enjoyed the reminders of our founding fathers and how America the Beautiful came to be. I share as often as possible so that those who are my “friends” here get it. William Bond I love the quotes and pictures of our heritage, it helps ground us in who we are as Americans and pushes us to take a side and stand up for what we believe. John Sanford The Founders would be pleased with your “no spin” presentations of historical facts. I read every one of your posts and take notes. Liz Lowry I have recommended this page to ALL my friends. You provide a greatly needed frequent reminder of the intent and wisdom of the framers. I have come to believe that the authors were in fact divine. Never has their message been so relevant….keep it up….it is probably the best US Constitution course most facebookers have ever had! Anthony Butler I am new to this page but from what I have seen so far, your page provides history you won’t see in schools. The posts also give a new perspective on the men and women who helped found this country. God bless you and what you do. Coal Collins I do like the work you all are doing here….my uncle was William Hooper ..signed the Declaration of Independence…related to Washington and Adams….i believe our ppl have forgotten the truth that they set forth…. cause the Constitution and Bill of Rights have thrown out the window…. David Felzke Yes, I do like the Federalist & Anti Federalist paper plus the Constitution info. I like most of what you put on this except the Republican party stuff. We need to remember Jefferson’s warning about becoming a NATION of Parties, and we need to eliminate both the entrenched organized Crime Cartels called Reps and Dems. Keep up the good works! Salim R. Tabit Love this page and all that is posted on it. It makes me think and always keep in mind what our Founders intended for our nation. I look forward to the posts every day. Mesa County Patriots Great quotes from the founding fathers (and others) on Liberty, Responsibility, and the Rule of Law. We re-post from your page all the time. Thank you for keeping the torch burning! Bob Yeager I have spent al ot of time studying the Constitution. I knew the Federalist Papers played a big role in the Constitution you make it easy to learn more about the Federalist Papers. Keep up the good work ! Michael Murphy I have posted several times. I am a studier of the Constitution and therefore need to know the Federalist Papers. As was indicated by the Cohen v. Virginia (1821) case, the Federalist Papers is a direct reflection into the minds of the Founding Fathers and their purpose of the US Constitution. I personally am an Originalist and believe that the ideas set forth by the Founders was adequate for all situations, even today. I believe we can all benefit from this site because it forces us to think and solidify our beliefs or to evolve them, due to a change in thought and circumstances. Thank you for all you do!! Andrew Gonos I love these posts. Everyone should be required to read the words of our Founding Fathers. That is the only way to truly understand where this country came from. Sandy Nelson Bravo.….we must keep reminding the uneducated about what our powers and rights are! Unfortunately, we have an electorate who are clueless! Greg Johnson I was never too interested in politics…until September 11, 2001. Then I started paying attention to my country, my home. I started paying attention to the laws and regulations that are usually overlooked. I started paying attention to those who make these laws. I’ve been self-educating myself about the USA, it’s history, & it’s politics since then. Not only do I want to learn more facts for myself, but to pass them on to others. I’m quite satisfied with the work I’m seeing here at “The Federalist Papers” here on Facebook. Keep up the good work. Ikechukwu Felix Ake This page is one of the historical corners on the Internet that I cherish. I am not American, but learned more about men who shaped not only America but humanity, their prayers, conscience and dedication to country. I love the work your doing here and my sincere prayer is that all citizens particularly in the developing will come in contact with these men online. Thank you, this most inspiring. Bo Porter Your posts have been a convenient refresher of the perilous trials and daunting tribulations our fore fathers struggled thru to bring us this great nation. The difficulties they bore up under have been smoothed away over time and many of their insights so eloquently put to pen forgotten. As I am reminded of their deeds, It becomes even more evident to me that there has to be a God and there is indeed such a thing as divine intervention. Chuck Fulkerson I love this site. It makes you think, stop and pause sometimes just to reflect on the true purpose or intentions of the writers. It can make you sick to see just how twisted and off the beaten path we have become. In my mind , it makes my line in the sand have meaning and purpose, and my toleration have definition and substance to rest on. It is both refreshing and encouraging to know your thoughts are not crazed simply because you are shepardless among sheep. Tom Bishop Is always great to be reminded of what our forefathers really said and thought! Our nation was founded on Christian principles as many of them were Christians and were seeking refuge from the church of England! James Alaniva Good postings show how far we’ve gotten away from our founding fathers original intent for this country. Jerry Slabaugh This site is helping people discover our real heritage. It’s amazing how insightful our forefathers were. I have taught many students and have come to realize that many are being lead astray through what is being taught in our school system. The students are always surprised at what our forefathers really believed compared to what they were taught in school. Thank God for the mountain of documents that exist to prove the truth. Rick Estep I really enjoy your postings. It reminds me that, we have work to do, to steer our country back on track; back to the foundations it was built on. Garry Teel Knowledge is power, without this power – we will surely be enslaved. It is scholars like you that keep me from being enslaved by the dumbmasses of today and the future. Keep up the grand legacy going. Sean Mottishaw – I appreciate the comments who created this country and the “freedom” they were desiring all to experience. Paul Beatty – I enjoy the posts very much. It never ceases to amaze me how right the founding fathers were and still are today. Linda Martina – These posts are testimony to the exceptionalism of America and to the amazing history of this nation. I am learning the history of my country now….the history I was never taught in school. It is tragic. I am so thankful for historians like David Barton of Wall Builders.